My reviews are short, sharp and straight to the point. What does it cost, how does it sound? No waffle. To ensure that I am completely unbiased, you alone will be the judge of quality. Make your selection, and see what you think! please get in touch using this link! Stay tuned! 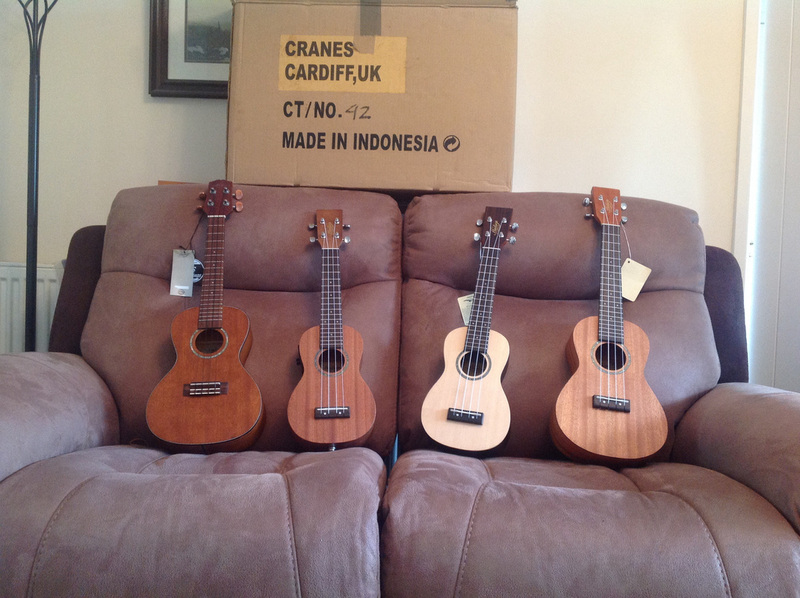 I have the entire 'Hudson' range of ukuleles from ﻿Cranes Music of Cardiff﻿ due for arrival. Once I have reviewed them, I will publish them here. The first batch has arrived! Aren't they cute?